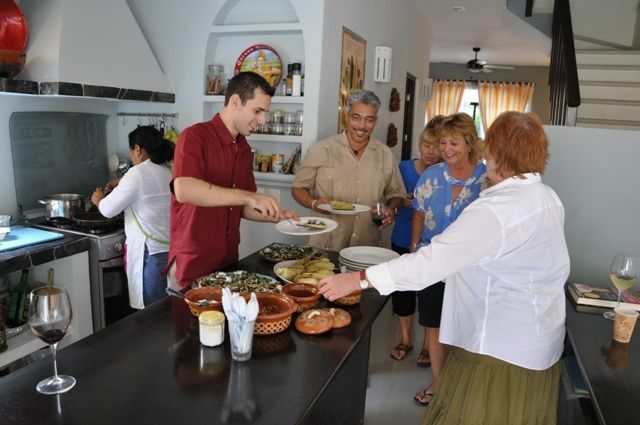 Last Tuesday I was invited once again to participate in a seminar at The Little Mexican Cooking School in Puerto Morelos. 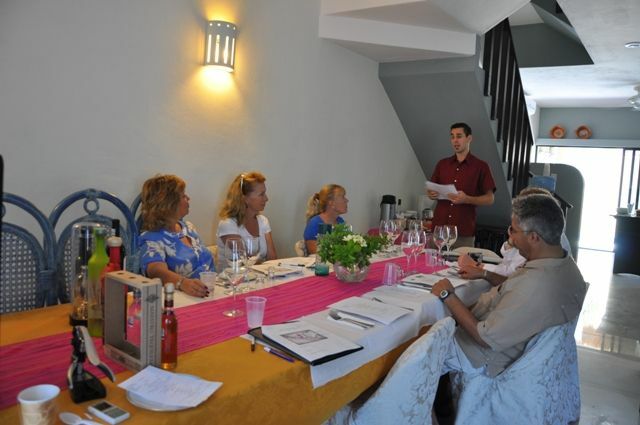 Having thoroughly enjoyed my experience in their regular cooking classes, I was certain that this special seminar, focusing on Mexican Wines and Tequilas, would be just as interesting and informative. Our presenter for the day was Alex Rioux, the sommelier from the exclusive Maroma Resort. 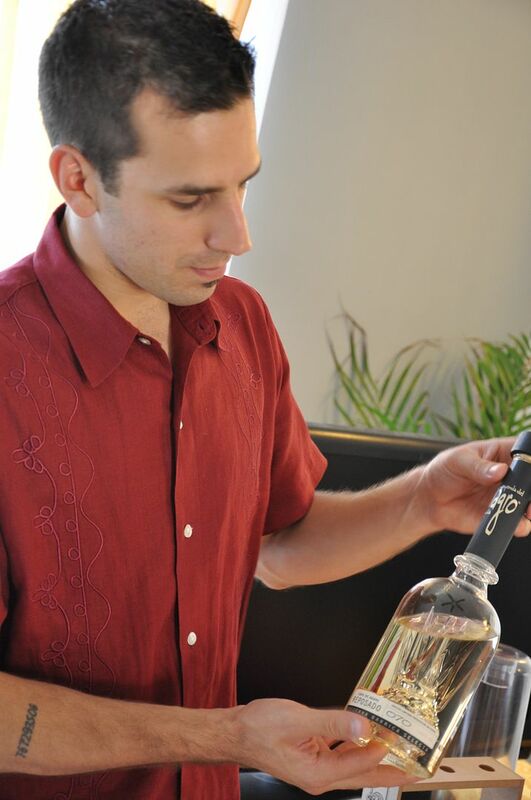 A native of Montreal Canada, Alex speaks four languages, has a long history in Hotel Management working for such prestigious groups as Karisma and is certified by the AMS, the Asociacion Mexicana de Sommeliers. He is also charming, handsome and and an engaging speaker. Having a background in not only food and beverage but also fine wine sales, I am, admittedly, not your average attendee but I was pleased to find that Alex's presentation was thorough and well organized and contained enough information to keep my attention. Because the importer I worked for in a former life represented a few Mexican wineries, I already had a short head start on the history of wine production in this country. Alex came armed with a complete history of viticulture in Mexico: the importation of vines from Europe, the control on wine production exercised by both the King of Spain and the Catholic Church, the major growing regions that have established themselves in this country and the varietals likely to be grown there. 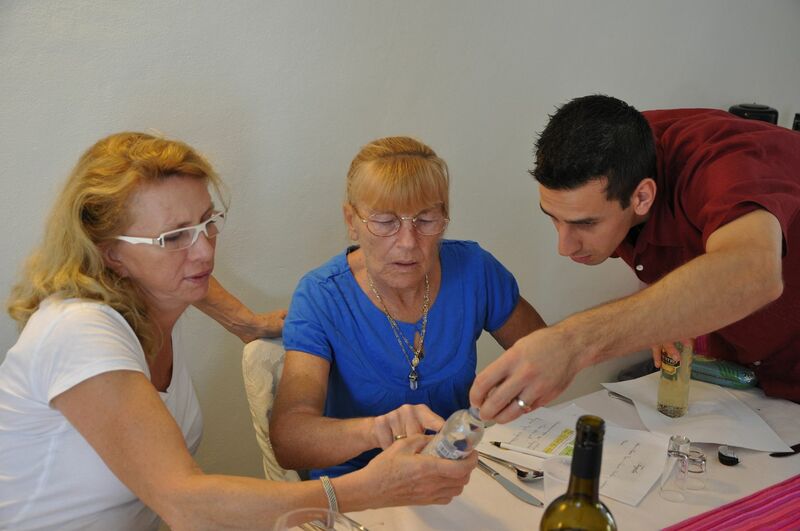 We were also given a concise explanation of wine production from grape to glass, important for anyone who is serious about wine and wants to be able to fully appreciate all of it's various attributes. We went through a thorough tasting of three Mexican wines, following along on special tasting sheets that Alex had prepared for us. I liked them so much, I stole an extra to bring home for my own use. After, moving through the three wines, the group enjoyed a nice lunch of Peruvian ceviche (lovely with the Casa Madero 2V), aracherra sopes and tamales with a variety of sweet and spicy salsas and a delightful chocolate chipotle cake topped with a special desert crema, specially blended by the school's Chef de Cuisine, Claudia. After lunch, we moved on to a discussion of tequila. What is it? Where does it come from? How is it made? and What are the different varieties of tequila? 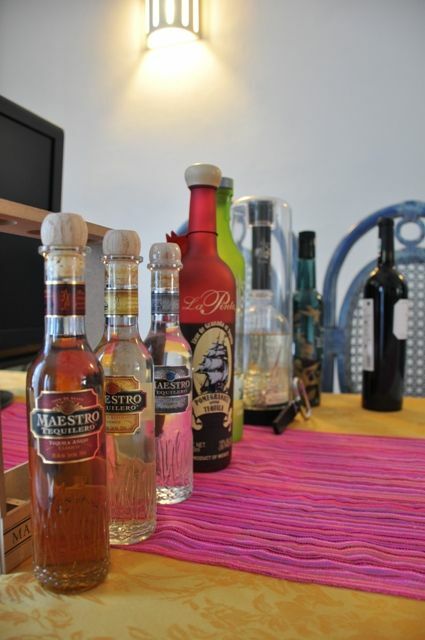 We learned how to properly read and discern the labels on the bottles and about the aging requirements specified for each of the five types of tequila, plato (blanco), oro (joven), reposado, anejo and extra anejo. There is no Appellation of Origin or D.O.C. 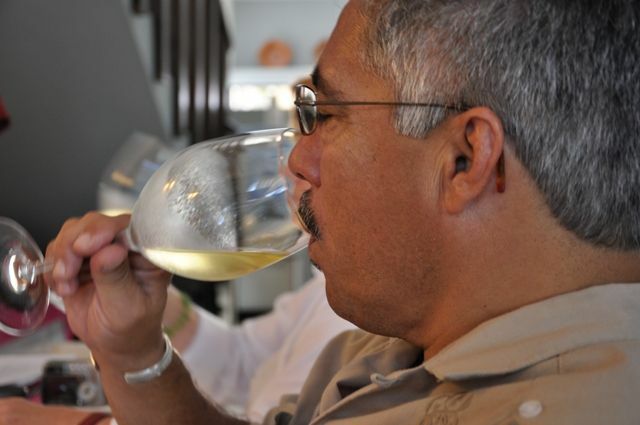 when it comes to wine in Mexico, however in 1993, the tequila industry leaders set in place the Consejo Regulador del Tequila to protect the name, and the product with a strict set of rules controlling the agave sourcing, production process and marketing of this national beverage. It was interesting to learn that some of the original producers of tequila are still some of the biggest names in today's industry, Sauza, Cuervo and Herradura to name a few. We tasted through three lovely tequilas, each an excellent representation of their category and finished up by watching a well produced promotional video about tequila production. It was, as I had hoped, a fun and informative day and I know that we all went away with a greater appreciation of Mexican wines and a lot more knowledge about tequila. Next time I am in the store, I will definitely know what I amloking for. Thanks again Cat and Patty for the invitation and thank you to Alex Rioux for preparing a well organized and comprehensive seminar for us to enjoy. 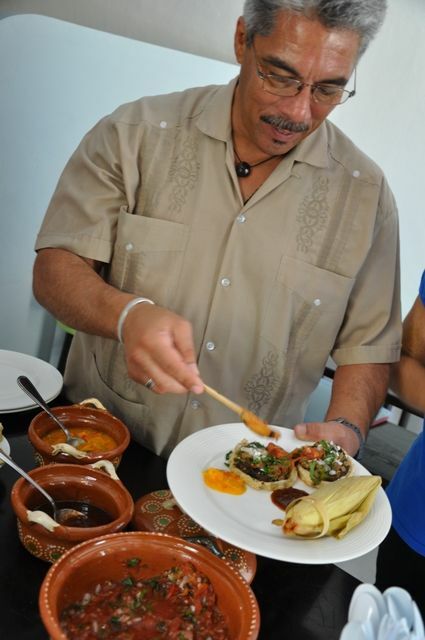 Word on the street is that The Little Mexican Cooking School will be holding more of these classes in the near future. If you have the time, I highly suggest you attend. Michele great article. Sounds like a good time was had by all! It was super fun! We should go together sometime!! My husband I will be visiting Playa Del Carmen for the 14th time. We would like to participate in something like the tasting described. 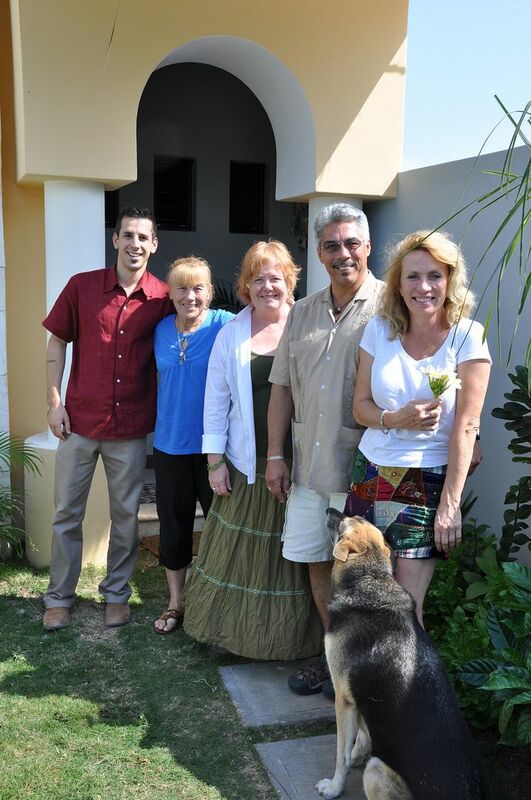 We have been to Puerto Morales many times and wonder if there will be additional tastings there or close by. How do I find events in the area, not just tastings? We will be in Playa from March 24th through the 30th. I love the information you provide on restaurants, etc. I really would love to know about this kind of events!! I would appreciate to know where to suscribe tod this kind of courses? To find out about events happening in and around the Riviera Maya, go to http://www.rivieramayaeventscalendar.com. You can subscribe for free and have updates delivered to your email! 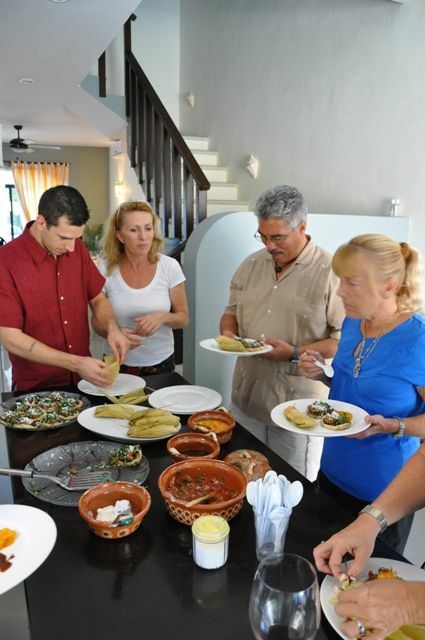 For events at The Little Mexican Cooking School, contact cat@puertomorelosliving.com and ask to be put on the mailing list! It's a lot of fun and educational!! Friday, March 26, 2010 1:05 PM by "Life's a Beach"